M.E. 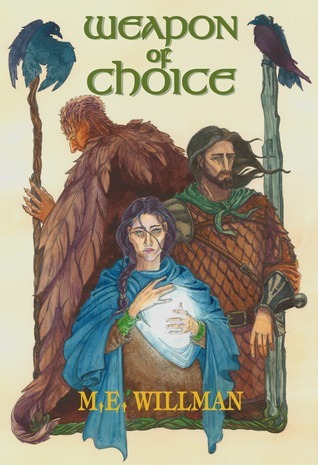 Willman introduces a new fantasy series with the release of Weapon of Choice. To learn more about WoC and the Weapons of Chaos series, click the Books link, above. Follow M.E. on Facebook (mewillman.author) and on Twitter (MEWillmanAuthor) for news, giveaways, and reader connection. To watch M.E. 's progress on the next book, Weapon of Change, visit the Blog. Order Weapon of Choice now! For Smashwords (.ePub for various platforms), click here. ﻿For the B&N Nook, click ﻿﻿here﻿﻿. And the winners have been announced! Out of a whopping 863 entries, six winners from the U.S. and four winners from the U.K. are receiving personalized, singed print copies of Weapon of Choice. Stay tuned to the site for the next free book giveaway!